This article gives step-by-step guidance on how to write a cover letter. The tips offered aim to make writing a cover letter to be a fun and enjoyable activity. Writing an outstanding cover letter takes time and effort and understandably many people do not look forward to writing a cover letter. However, will your letter even be read? The jury is divided on this; some people say your cover letter won’t be read while others say that it will be read. Under the best case scenario, if you have done an excellent job of writing a good resume, then chances are if a hiring manager’s interest is piqued by your resume they would be more likely to read your cover letter to learn more about you. Always write a great cover letter unless the job posting explicitly says that they don’t need a cover letter. Confidently use a cover letter to ‘sell yourself’. You can quickly skim all the 34 tips on the table of contents below and then click on any tip to read further details. Please enjoy reading. Thank you. Why Should You Write a Cover Letter? A cover letter is a brief persuasive piece of business writing where you endeavor to convince a potential employer on why they should buy your services and you outline how your skills, strengths and contributions would solve the challenges and situations that the employer is facing. A cover letter consists of two parts: half marketing and half persuasion. Thoroughly study and analyze the job advertisement looking for commonalities, mutual areas of interest, craft convincing win-win arguments, know what the other side wants, work on consensus building, forge connections, build a case for the solutions that you are offering, enthusiastically state what you can do both clearly and confidently, close with gratitude and your work is done. To be persuasive, be natural, believe that you bring value to the table, be convincing, be credible and honest, don’t be overly aggressive, thoroughly do your homework, write in a professional and positive tone and know that there will be no’s along the way, but just stay on the course. Before writing a cover letter, take a moment to strategize ahead – What do you want to convey on your letter? What does the employer want from you? What are the challenges facing the Company? What can you do really well? How will you make the employer happy? The more time you spend planning upfront the easier it will be to write your cover letter and the more effective and targeted your letter will be. Your plan can be as simple as listing down three key things that you want to include in your cover letter, or it can be a detailed plan such as the elements that you want to include in each main paragraph. Your plan will help to reduce stress, keep you on track and help you to remember what you want to write about. Include a deadline for when you should finish writing the cover letter and also outline how soon after seeing a job posting you should apply. Stay focused by thinking ahead. When you finish your cover letter, compare it with your plan and identify any lessons learned, deviations and areas for improvement. 3. Why Should You Write a Cover Letter? To supplement and accompany your resume. To help you to get an interview which should hopefully lead to a job. To specify the position which you are applying for. To outline unique contributions that you will bring to the job. The employer specifically asked for a cover letter. To explain any long gaps in your employment. To mention who referred the job to you. To provide additional information such as specify where you saw the job posting and date of the posting – this is crucial feedback that helps the organization to know which advertising channels are bringing the most job applicants and also the highest qualified applicants, to help the Company in placement of future job postings. The art of self-promotion is a critical skill to cultivate in today’s highly competitive and crowded job market. Jobseekers are required to work overtime to figure out how to get an edge above competition, how to make yourself be found, doing something extra to make a name and networking to be recommended by others for great opportunities. An employer could be fascinated by the fact that you have published a book, an e-book or a research publication on a topic related to your profession. This could be your added advantage over other candidates that you are competing with for a job opening. Include these unique achievements in your cover letter or resume such as published a book on Topic X, gave a talk on a workshop or event attended by 1,000 industry leaders or peers, gave a webinar, developed instructional videos or hosted a YouTube channel. You never know this could lead you to your dream job or even to being an entrepreneur where you would be your own boss and instead of looking for jobs you would now be providing jobs to others. Build your own website, write blogs, give talks, design or innovate something, create podcasts, teach others about something that you know, become a top commenter and contributor on question and answer forums/websites and provide thoughtful and insightful answers to questions around your area of expertise and build your credibility as an expert. Volunteer to man exhibition booths during events or conferences and passionately promote your employer’s brand and products to attendees. Stand out from other exhibitors by demonstrating your product knowledge and passion. You will not only increase your confidence but also likely to be noticed by other employers who could passively make a mental note of potential future hires and when the time is right they could come knocking. Volunteer to work in highly visible teams in your Company. Sign up to help teams that are doing challenging work such as planning big complex events or projects. When the event has been pulled off successfully, you could be acknowledged as one of the people who made it happen and your name could be mentioned publicly or even included in conference materials, press releases, blogs, social media, newsletters or news articles. Others looking for similar talent would now know your capabilities. Adopt a high level of self-awareness by introspectively evaluating yourself on which medium you are most comfortable communicating with. You could be more comfortable talking one-on-one with people, or good at public speaking to large groups, or speaking in a video, or communicating through writing – whatever your strength is, identify it and work on getting better at it. Observe how other accomplished people have succeeded and learn from them. Reach out to the ‘superstars’ or high performers in your Company and request them to mentor you. Seek constructive criticism and feedback then use all the knowledge that you learn about yourself to further refine and fine tune both your cover letter and resume and make it as targeted and specific as possible. A job is a commitment and before any commitment it is helpful to do some due diligence, research and analysis to see what exactly you are getting yourself into. This would entail some internal and external analysis that would give you an indicator of how secure the potential job would be and whether you would be a good fit for the job. Is this going to be a great Company for you? Do you see a great future for yourself in this Company? Is this going to be just a “job” or do you see yourself growing here career wise? Will you enjoy doing this job? Conduct an internal analysis to assess how satisfied you would be with the potential job – Will I be happy working at this Company? Will the job be exciting, challenging and fulfilling? Do you understand the job requirements and responsibilities and are you able to perform them? Is the Company generous and caring in terms of benefits and other incentives? Are there opportunities for growth? Conduct an external analysis to assess the financial performance and viability of the Company – Does the Company have a history of good financial performance? What are the reviews on the Company? How is the general industry and competitive environment in which the Company is operating? Is the industry growing or shrinking? Who are the leadership or management team of the Company? What is the culture of the Company? Loglines are commonly used in the world of television and movies. A logline is a brief summary about what a television show or a movie is about. For example when reading a television guide this will be the brief description that tells you what the show is about and it is aimed at generating interest so that you can watch the TV show or movie. Loglines are also used for pitching movies and TV shows. After a script writer has written a script for a television show or movie, they then have to summarize sometimes hundreds of pages into a one or two sentence pitch. Similarly when writing a cover letter, you have so much to sell about yourself but the reader has very limited time to review your cover letter – you can borrow some of the logline ideas and develop a logline about yourself. Put your logline in bold on the reference/subject line of your cover letter. Caution: When you write an arresting and captivating logline, please be sure to follow-up with substantive, interesting and compelling information and facts on the body of your cover letter otherwise your logline efforts would fall flat and turnoff the recruiter/reviewer. Letterhead with your name and contact details including your physical address, telephone, email address and link to your professional social media profile. This is the application date i.e. the date when you wrote the cover letter. Include the Hiring Manager’s name and title if known. Include the Company name, hiring department if known and Company’s physical address, city, state and zip code. Include the job title on the subject or reference line. Include any unique job reference number that is shown on the job listing. This is the opening/introductory paragraph. Mention why you are interested in this particular employer or Company. Your in-depth and comprehensive research on the Company should guide you to write something specific, sincere and intelligent about why you like and respect the Company. Also indicate where you saw the job posting and the date of the posting. If you have not stated the job title on the subject line of your letter, then you should clearly specify in this paragraph the job that you are applying for. If someone referred you then mention their name here. This is the body of your cover letter. 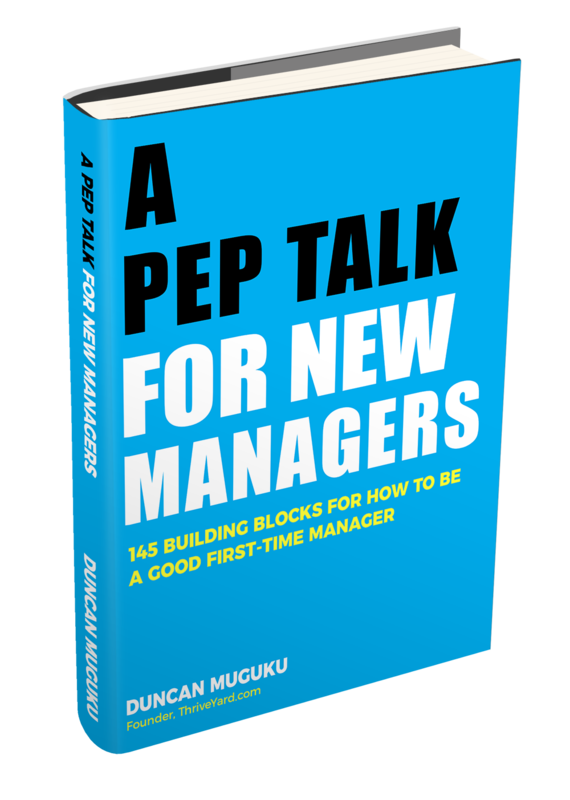 Explain ideally in bullet points – specific stories, examples, and quantifiable results that you have achieved and show how you would provide specific value or direct contributions to the Company. Demonstrate a keen understanding of what problems, situations and challenges the Company wants to resolve. Write the word “Sincerely” followed by a comma, then on a new line include an electronic scanned signature and include your name below your signature. You have probably heard multiple times that you should address your cover letter to a specific person, but how do you find the name of the person to whom you should address your letter? Read the job posting to find out which department within the Company is hiring. Then do your research to find out the name and job title of the head of that Department. Even if the Department head is not the one who is doing the actual shortlisting and hiring because they might have delegated the hiring role to someone else, it would still be ok to use the name of the Department Manager. This is one simple way to show that you did your research and homework about the Company. If you can go the extra mile to pinpoint and investigate the exact person who is hiring, this is even better. Check the staff profiles section of the Company’s website to see if they have listed the staff names and titles. Use professional social media websites such as LinkedIn to search for the Company and its staff profiles. Search the social media pages of the Company such as on Facebook, Twitter and others. Read press releases from the Company. Directly call the Company and inquire about the name and title of the Department head. Use search engines to type the name of the Company and the specific department and see what results you get. Ask around your networks if someone knows anyone who works at the Company and if they would provide this information. You could call after working hours and the Company telephone directory might lead you to the Department Head’s voicemail where they are likely to have stated their name and even job title in the voicemail greeting. Employers and recruiters are smart, they can smell and detect a generic cover letter from a mile away. From their experience, they can tell if you are firing away the same cover letter to many organizations. Generic cover letters are not special, inspirational or memorable. Challenge yourself, put in the additional effort to relate what you can offer to the things that employers care about such as more revenue, more sales, more customers, new processes, saving time and money. Personalizing a cover letter helps it to stand out from the crowd. Personalizing takes extra time but it is a worthwhile investment in the job hunting process. This calls for some detective work to find out to whom your cover letter should be addressed. In most cases this information is not included on the job advertisement so it is upon the proactive job seeker to go looking for it. This is the main topic of the cover letter; it is the purpose of the cover letter. The subject line clearly identifies the position that you are applying for and frees up the rest of the cover letter space for talking about why you like the Company and why you are the best candidate for the job. If there is a job reference number on the job advertisement, put this number also on the reference line. The subject line appears above the salutation. Such as – RE: Program Manager or Subject: Program Manager. Show your enthusiasm from the very first sentence that you write. Catch the interest of the employer; draw them in with your interest in the Company, what you like about the Company, and your interpretation and understanding of what they want. Why should they hire you? The target audience for you cover letter is the employer/recruiter. Ask yourself what will interest your audience? How will you grab their attention? Get to the point. Take the most amount of time to write a very good first paragraph. At a minimum most readers will look at it and it should capture their interest enough to want to read the rest of the letter. Mention exactly why you want to work for the Company. Why is this job exciting to you? What do you know about the Company? Take time to research and learn about the Company. Focus squarely on solutions that you can offer the Company – how can you help the Company to make an impact? Thoroughly read the job description to understand the problems that the employer wants to be solved and outline how you can help them to achieve their goals. Read about the employer’s competition, the general industry and gather informed insights. Research the Company and their social media pages to see what they care about. Your cover letter should ooze of specificity – it should clearly appear that it was written for that job only. Give specific stories and examples of your skills in action/in use. What problems have you solved in the past? What was the situation? What specific things did you do? What was the outcome? What skills did you use? These are the top 3 things that I can do in the first 90 days on the job. Mention that these are just based on your experience and preliminary knowledge from your research and that upon listening and learning more first-hand information from the Company, you can tweak and further refine your ideas to achieve more impact. Specify the job that you are applying for. Be professional and respectful. Be sincere, authentic and original. Your passion should flow through your writing. End with a call to action. Say thank you at the end. Add an electronic/digital signature. Follow all the instructions and directions on the job posting. If you have been referred by a mutual connection point this out. Many jobseekers have impressive qualifications, skills and work experience and these are usually highlighted on their cover letters. However, there is one extra thing that many jobseekers either forget to do or don’t do at all i.e. translating their accomplishments into real value and actual contributions that would directly benefit the employer. In other words most accomplishments talk only about the past performance of the jobseeker, whereas they should also make a connection between the past and the future performance. Most jobseekers list their great achievements and stop there hoping that the recruiter will fill in the blanks and make a connection between what you have to offer and what the employer wants. Go the extra mile and make this connection, take initiative, provide forward looking statements, be direct and connect the dots. To stand-out you need to do some matchmaking between what you bring to the table and what the employer wants. How can the Company directly benefit from your skills, education and work experience? How well do you understand the employer’s challenges and problems? Why are you the best person for the job? Write three bullet points of the best solutions you have to offer. Think like a consultant who is preparing a business proposal. Identify the problem, analyze it and offer persuasive, convincing and specific solutions. Ultimately you will do more work upfront crafting these sentences but the payoff could be big downstream. What is the problem that the employer wants to be solved? What is your solution? What will you do exactly? Example of a Job Listing: An employer requires a Sales Professional with 5 years’ sales experience, ability to independently look for new customers, solve customers’ problems quickly, and has a proven sales record. Common Response by Jobseekers: 7 years’ experience of exceeding annual sales quotas by 110%, solid history of independently converting cold leads to revenue generating customers in record time and maintained a 98% rating on customer satisfaction. Revised Matchmaking Response: Drawing from my 7 years’ experience of exceeding annual sales quotas by 110%, conversion of cold leads to revenue generating customers in record time and maintaining a 98% rating on customer satisfaction, I’ll prospect new markets and territories for your business and implement a 3-point rating system for qualifying customers, retaining customers and ensuring ongoing repeat sales. Unfortunately we have to be honest with ourselves that sometimes despite all the hard work and effort that you have put into your cover letter, your cover letter might not be read. This is a real possibility, but it should not discourage you because there is better news on the second and first impression. By the cover letter not being read it means that no impression was made. The first thing that you should always do is to write an absolutely fantastic, earth shattering resume. A recruiter or hiring manager who is hard pressed for time would typically jump to reviewing your resume first and if sufficiently interested and curious they would then go to your cover letter to look for more information. In this scenario the cover letter would be the second document that the recruiter reviews and it could possibly seal the deal on whether you would progress to an interview. Your cover letter could literary be the first impression of yourself that a recruiter sees. It could be the first document that the recruiter reads. Therefore, your cover letter should do a good job of arousing interest and encouraging the recruiter to read your resume. Open strongly with a bang, show genuine interest in the Company and the job that you are applying for. Personalize the letter; write it as if you are communicating to one specific person, craft a personal connection. Your cover letter to be customized/tailored for a specific job. Use bullet points to highlight your best qualities. Be brief, no more than three paragraphs. Use short paragraphs with punchy sentences. Quantify your results and accomplishments – include statistics, quantities, numbers, and percentages. Do not repeat your resume. Logically organize your cover letter. Don’t indent paragraphs; put a space between each paragraph. Generate interest tactfully; do not use hype, or gimmicks or oversell. Show confidence and strength, demonstrate leadership. Say what you can offer to the new job; show that you are good at solving problems. Use keywords smartly – don’t simply sprinkle keywords around, create context around the keywords with specific examples of the keyword in action. Be careful when using humor, it could backfire. Show your unique selling proposition (USP) – why you? Be honest, natural and authentic. Print a copy of your final cover letter and read it out aloud. The formatting and style of your cover letter and resume should match/be the same with similar fonts, identical letterhead etc. Strive for harmony and consistency in your application. Keep improving your cover letter writing process over time. It gets better with practice and persistence. Do not over-rely on spell checkers – proofread your cover letter at least twice. Show that you are a good cultural fit. Check the job posting carefully to see if there are any specific items or requirements that should be addressed on your cover letter (these items could be tests by employers to find out your attention to detail and how well you follow directions). Use power words/action words on your cover letter. Don’t forget to write a short professionally written cover email. Don’t use text message language or abbreviations. Because your cover letter could be screened by an Applicant Tracking System (ATS), it is best to submit your letter as a Word document instead of a PDF because some Applicant Tracking Systems cannot read PDF documents. Also avoid any images, tables and columns on your document. Always double-check not only if you have attached the cover letter and resume but also confirm that you have attached the correct documents by opening them up and taking a look. Apply for many jobs and keep track of the applications that you have sent, monitor when you sent your application and how soon you got a positive response. Save copies of your cover letters and resumes for your records. If you have been referred by someone within the Company and you mention them on your cover letter, send them a courtesy copy of the cover letter and resume as well. Cultivate the attitude of sharing with others your cover letter ideas and knowledge and your reward may come back to you one day. Teach others about your methods which bring you the most success and high response rates. Write down your methods and share them with at least two people. From an economic perspective, you are a product or producer and your role is to produce services for an employer in return for a paycheck. Before you get hired, you first have to do a good job of advertising yourself plus your services and why you would be the best producer in a marketplace that is full of other producers who also want to offer their expertise and services. How can you make your voice heard? How can you stand out? How can you demonstrate your value? How do you see yourself? What unique attributes do you bring to the table? What can you do right now for the employer if hired? For example what plan and ideas do you have to increase number of customers, increase sales, increase productivity, approach new markets and territories, retain more customers, improve customer satisfaction etc. Read the job description thoroughly and understand the challenges that the employer is facing – what problems do they need to be solved? Be willing and generous enough to give the employer some solutions upfront. This is an investment on your part. Even if you don’t get hired your personal reward is in knowing that you put your best foot forward and gave your very best. Perhaps the employer might try to implement your solutions on their own; perhaps they might hit a snag and reach out to you to hire you to execute your ideas. Remember that ideas and solutions are plentiful in the World but the secret sauce is in the execution. It is important to project strength and self-confidence on your cover letter. An air of assuredness goes a long way. Do not be wimpy in your choice of words, don’t be passive, be direct and punchy in your sentences. Do not be overly polite or offer too much flattery since it comes across as insincere. Be careful about crossing the fine line between tooting your own horn and boastful arrogance – that is not good. Don’t be a know it all, be humble there is always something to be learned and you can learn from anyone, learning never ends. Show willingness to learn, change, flexibility and adaptability – for example in areas such as learning new systems you can demonstrate how you have quickly learned other systems in the past to the point of becoming an expert user who even trained others or made helpful system improvements. When writing your cover letter, watch out for the following commonly confused words. Using one word instead of another could alter the meaning and context of the message that you intended to convey. The job posting highlights the symptoms that are ailing and affecting the Company. Your job as a “Doctor” is to analyze the symptoms and propose your prescription that would cure the “sickness” (Challenges/problems/situations facing the Company). Run your own tests, do your research, and understand more about the “sickness” and the “patient” (Company). Here is a good reason for not sending out the same generic cover letter to every job opportunity – If you were a Doctor, would you recommend the same prescription to patients with different sicknesses? No, you would take time to talk to the patient, understand and observe the conditions and symptoms, check patient history, take note of patient information such as age, weight and height to determine medication dosage, do additional tests and lab work if needed, and then customize your prescription for a specific patient. Specificity: When a Doctor writes a prescription it is very specific: it clearly specifies who the patient is, the amount of medication that a patient should take, the strength of the medication, the reason why they are taking the medicine, and the frequency of taking the medication – such as 10 mg tablets of XYZ twice a day before eating meals. Additional information could include how many refills are allowed and how the medication is to be taken or administered such as orally, injected, applied to skin, inhaled etc. Likewise to yield the proper results, the process of writing cover letters should be approached with the same precision and specificity as a prescription. Clearly identify the problem that a specific Company is facing and prepare a specific prescription of how you would resolve that problem. If you have tried writing your cover letter and are struggling with it, or if you want your cover letter to be improved or written by a professional, there are numerous Certified Professional Resume Writers (CPRW) who offer this service at a fee. If you are interested in these services simply type on any search engine “Professional cover letter writing services” and you can choose for yourself who to work with. Select a professional cover letter writing service, place your order and pay. An initial survey, questionnaire, telephone call or face to face discussion to understand your needs, skills, strengths, experience and work desired. Submission of relevant materials such as old cover letters, resumes, job advertisement etc. Review of your resume and other materials. Preparation of draft cover letter by the professional. Draft cover letter is submitted to you for review. A couple of back and forth messages or discussions to edit and polish up the draft. Customized cover letter is finalized. This is just a summary of the professional cover letter writing process; some professional writers could have more rigorous and in-depth additional steps and processes. “From my research I found out that you are currently implementing the XYZ system to all your offices. I have worked previously with this system and did online training courses on my own initiative to the point of becoming an expert user who has trained dozens of staff on the system. I can definitely help you in the rolling-out and implementation of the XYZ system”. Of course this assumes that the research information obtained was publicly available information such as on a Company newsletter, website, social media, blog, press release, annual report, financial statement and reports, newspaper etc. You should not drive your car without a spare tire. (You should not write a resume without a cover letter). You don’t know when you would need a spare tire. (Your cover letter might or might not be read, but you don’t know in which situation it might be read). You will be grateful that you have a spare tire when you really need it in an emergency/flat tire situation. (When your cover letter is available, it could help the hiring manager to make the decision to invite you for an interview). You could probably drive a car without a spare tire but at your own risk. (You could submit your resume without a cover letter and possibly still get an interview). You have more peace of mind knowing that the spare tire is within reach. (You will have more peace of mind knowing that your cover letter is there to back-up and supplement your resume – you will have two soldiers fighting for you instead of one soldier). A cover letter could be a tie breaker between two top candidates. Wouldn’t you want those odds to be in your favor? If your answer is yes, then always write a cover letter. Typos, spelling mistakes and grammatical errors. Cover letter refers to the wrong job opening. Cover letter is addressed to the wrong person. Experience and qualifications are included that are not relevant to the job advertisement. Cover letter that is longer than one page. Submitting a cover letter without your resume and vice versa. Cover letter is addressed to the wrong Company. Cover letter does not identify or specify which job you are applying for. Track changes and edits are visible on your cover letter. Misspelling the hiring manager’s name. Wrong gender addressed in the salutation e.g. Dear Mr. instead of Dear Ms. Repeating information that is on your resume. Talking about what you want instead of what you can do for the Company. Lack of quantities, statistics, percentages or numbers to quantify your achievements and results. Sending a generic “one-size-fits-all” cover letter. Using a form letter or a cover letter template. Addressing your cover letter “To whom it may concern” or “Dear Sir/Madam”. Lying and exaggerating. Making unsubstantiated claims. Including salary requirements unless requested by the employer. Using general words and cliches to describe yourself such as hard worker, go-getter, results-oriented etc. Using slang, abbreviations and jargons. Sending the same cover letter to different job openings. Not customizing and personalizing your cover letter. Boring and uninspired cover letter. Not writing a cover letter. Too much flattery. An insincere cover letter. Cover letter does not include your name. Cover letter is missing your contact information. Cover letter appears to have been written in a hurry. Explaining too much or oversharing. Being too familiar or too casual. 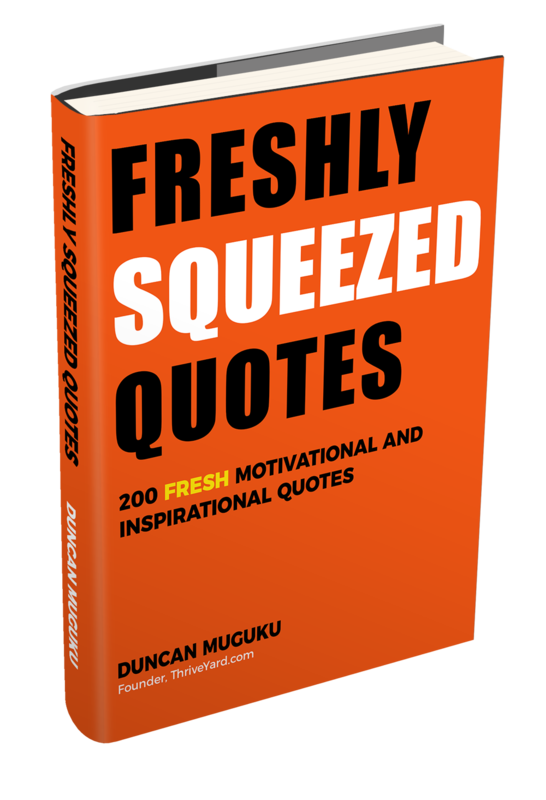 These are buzz-words, general phrases and common descriptions that have been used so many times that they have become boring, basic, generic and uninspiring. The cliches include words such as hardworking, go-getter, self-motivated, team player, results-oriented, detail-oriented, self-starter, people person, go-to person, problem-solver, fast learner, dynamic, highly motivated, able to work in a fast-paced environment, out of the box thinker etc. Rather than using these general and overused words, give specifics and details instead. Say exactly what you did, show evidence, results and provide context. Have you included your name and current contact information? Have you included today’s date? Have you included the correct Company name? Have you included the correct Hiring Manager’s name? Have you specified the job which you are applying for? Have you indicated where you saw the job listing? Is your cover letter personalized, customized and targeted for the job that you are applying for? Is your cover letter clear, well organized, easy to read and understand? Have you proofread it? Do you need to edit it? Does your cover letter contain cliches, buzzwords and jargons? Have you read it out aloud? Have you shown what exactly you can do for the Company? If you were referred, have you mentioned the name of the person who referred you? I will help your Company in the following ways …. Restate your enthusiasm and interest in the job; say you would love an interview to discuss your contributions and how you can add value to the company. Then thank the reader for taking time to review your cover letter. 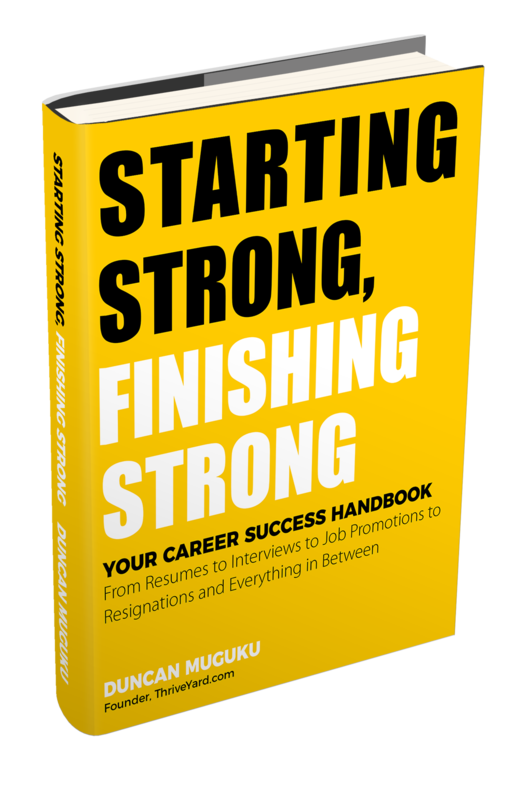 After you have finished writing your cover letter, let it simmer and ferment for at least 1 hour to one day. Once you have finished writing your letter and have done proofreading, final formatting and editing, then close it and take a break or do something else in the meantime. Look at your cover letter again with fresh eyes after a specific time interval of at least an hour or more. Read and review the cover letter once more, if you are satisfied after this review, then your cover letter is ready for submission to employers. The purpose of the simmering and fermentation period is to allow a chance for any additional insights that occur to you to be reflected/captured on the cover letter. It also gives you a fresh perspective to look at your written work and make any last minute edits before submission. Job seekers typically face a dilemma when it comes to sending their job application via email – Should you attach your resume and cover letter as two separate documents? Should you combine the resume and cover letter into one document? Should you write an additional brief covering note on the body of the email? Should you copy and paste your cover letter onto the email and only attach your resume? These are some of the questions that could be going on in one’s head before you hit the “send” button. Option 1: Copy and paste your entire cover letter to the body of the email and attach your resume then submit. Option 2: Include only highlights from your cover letter on your email, and attach your cover letter and resume as two separate documents, then submit. Option 3: Include only highlights from your cover letter on your email, and attach your cover letter and resume as one combined document, then submit. Remember to remove any automatic email signatures that are generated especially by mobile devices. Should you follow-up with an employer or recruiter after sending your resume and cover letter? It depends – you could either put faith and trust in the internal recruitment process and wait for the “recruitment machine” to run its course or you could subtly and politely follow-up to show your ongoing interest, engagement and enthusiasm. It is essential to be empathetic about the workload and realities of a human resources, talent or recruitment professional. On a typical they could have dozens of positions that they are juggling through their hands such as putting out new job postings, reviewing job postings, reviewing cover letters and resumes, conducting phone screens, conducting face-to-face interviews, responding to requests from hiring managers and a myriad of other administrative tasks. Take a moment to think about the other side of the coin: Imagine if a hypothetical recruiter or a hiring manager is handling an average of 20 job openings a month and on average 50 people apply for each job which means the recruiter has 1,000 resumes. If each of the 1,000 candidates were to call the recruiter to follow-up, imagine how much time constraint this would be on the recruiter to respond to each of the 1,000 telephone calls or voicemails. Therefore, there is need for compassion on the workload and time constraints of a recruiter or a hiring manager. At the same, remember that you are looking for a job and some persistence could pay off. If you have to follow-up with a recruiter, it is best to wait for about two weeks after you have sent your application then follow-up by email to inquire whether your application was received and what stage the recruitment is in and reiterate your interest in the position. Following up after one week could be too soon, following up after two weeks is ideal, it is the sweet spot because it is not too soon and not too late. If you are still hearing crickets after following up, wait again for about two weeks before following up again. You could either follow-up again on email or call the recruiter. The email follow-up to the original follow-up should also be done two weeks after the original follow up and write the new follow up email on top of the old follow up email to discreetly show that you had already followed up previously. Persistence is ok but it should be in moderation. If you don’t hear anything after the second follow-up then move on. In short, to be respectful of a recruiter’s or hiring managers’ time, it is safe to follow-up up to two times by email or follow-up once by telephone. If you leave a voicemail, remember to clearly state your full name, the position and Company that you had applied about and your telephone number. Be mindful that when you follow-up too much you could risk annoying the recruiter and this could have a negative impact on how you are perceived as well as it might jeopardize your job application. Caution: If the job advertisement clearly says do not call or email, please respect the Company’s instructions – this shows that you can follow directions. Offer an addendum or appendix of actionable solutions or ideas that could benefit the Company. Provide a video presentation – include a private link to a video presentation or a PowerPoint presentation. After sending an electronic version of your cover letter and resume, send a hardcopy cover letter and resume via snail mail. Include a private link to a slide share showing how you are awesome. Style your cover letter as a well written press release on why you should be the one to be hired. Layout your cover letter in landscape page layout instead of portrait page layout. Prepare a video cover letter. Add on your cover letter in large text a tweet, quote or sound bite on why you should be hired. Prepare a television style commercial on what the Company stands to gain from hiring you. Style your cover letter as a q & a (question and answer) or frequently asked questions (FAQ)-style. Write a catchy headline for your cover letter. Design your cover letter as an Infographic. Design you cover letter like a flyer or a brochure. Use a text box for highlighting your significant accomplishments, you could go a step further and do light background shading such as light grey or yellow. Write your cover letter like a brief newspaper article and style it/layout like a newspaper article – think like a journalist who is writing a breaking news story; start with the most important and compelling information, then give a brief analysis and observations and end with some background information to tie it all together. Ask a trusted friend to write a cover letter about you and see what items they highlight about you – it can help to stimulate your creativity and help you write an even better letter. Writing cover letters is not easy and usually it is an investment that takes time to materialize. As a result of all the hard work and effort that is invested upfront with slow or uncertain payoff downstream, emotions, frustrations and impatience can take over especially when it seems like your cover letters and resumes are disappearing into a ‘Black Hole’. Whereas this is understandable, it is critical to practice patience and adopt a mind frame of subtle attitude adjustment to keep your energy level and motivation high as you work towards getting the job you desire. Expecting instant results – it takes time. Giving up too quickly – be patient and hang in there. Being too pushy – you can only push so much before it becomes counter-productive. Mass mailing the same cover letter and expecting different results – change your tactics and be willing to do something different. Being resilient; keep going after failure and rejection. Experiment with different formulas of writing cover letters and presenting your material/selling yourself effectively. Always keep tweaking and improving your process. Be open to feedback and criticism. Pay great attention to each detail on your cover letter. Be alert – if the job ad sounds too good to be true trust your gut and protect yourself accordingly. You should not give up. You have a purpose in life and something special to offer the World. You are a winner in your own way. You are a champion. You are unique and have something to offer. Your road to getting your ideal job might not be straightforward initially, it can take some time, you can go around and around in circles, you can have many false starts, hurts and disappointments, but don’t give up. If your cover letter doesn’t work for you the first time, simply reload, recalibrate, aim and fire again and keep repeating the process to target the job that you hope for. Be like a sniper in your job search. Salary information should not be included on your cover letter however, if requested by an employer, this information should go on the last paragraph of your cover letter. Provide a salary range based on your reasonable value and expectations, and also based on research on salary trends for the job which you are applying for and what employers typically pay within that specific geographical location. A sample salary range could be $45,000 – $55,000 per year. It is important to note that different geographical locations can pay different salaries for the same type of job. You can do online research for average salaries within a particular zip code by using salary calculators and salary searches online. 30. How Long Should a Cover Letter Be? 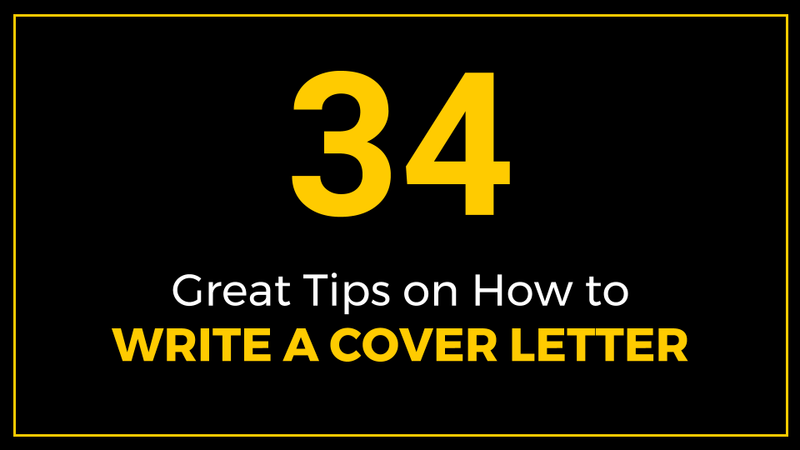 Unlike a resume which could be more than one page, a cover letter should be one page long. It is even ideal to have it shorter than one page – keep it brief and to the point. A good practice for cover letter writing is to start off by writing as much information as you feel is necessary then once you have written everything that you need to say, start editing and chopping off. Self-edit yourself; don’t go overboard by providing too much information on your cover letter. It is better to go for quality than quantity and showcase your strengths, knowledge and best qualities on the letter. Answer the question of whether you are the right fit and show what results you are capable of producing. Your cover letter demonstrates your thought process; it shows what items you think are important and demonstrates the way you present an argument and how you articulate your ideas. How convincing are you? How much detail and specificity can you provide, in a concise way? These are clues that show potential employers your value. Myperfectcoverletter – This website shows cover letter examples by industry. Susan Ireland’s Resume Site – This website features cover letter samples by occupation/career, sample cover letters for career change, sample cover letters for students and recent graduates. LiveCareer – Features cover letter examples according to different job industries. ResumeGenius – This website lists cover letter samples and a writing guide. It also features cover letter samples by industry and free downloadable cover letter templates. A T-format cover letter is literally a cover letter that is laid out in the form of the letter “T”. At the top of the letter you have a brief opening paragraph showing your interest in the Company and which job you are applying for then your letter is divided into two columns. The left hand side outlines the key requirements and skills outlined on the job posting. The right hand side column highlights the skills, qualifications, experience and contributions that you have and bring which match the employer’s requirements. The idea is to capture at least 3 of the most critical requirements on the job posting and quickly show how you are a good fit or match for the position. When faced with a dilemma of sending out a generic cover letter or putting in the extra effort to do a T cover letter, it is best to write a T letter. A T-format cover letter helps you to customize your offerings and contribution to the job. It helps you to think harder and probe deeper to write good matches. The T letter also makes the first screening of cover letters and resumes easier. The screener, recruiter or hiring manager can quickly scan your cover letter and see at a glance how your qualifications match up with the position’s requirements. You would close your T cover letter just like any other cover letter with a brief request for an interview, reiterate your interest and enthusiasm for the job and thank the reader. Sometimes due to formatting issues, or complying with Applicant Tracking Systems (ATS) or you would like to copy and paste your cover letter into the body of an email, it might not always be possible to have a nicely styled and formatted T table or columns on your cover letter. An alternative to the T-cover letter format is to list on your second paragraph the top 3 job requirements and then either in paragraph form or bullets form write down your corresponding qualifications and contributions. Remember to show the employers requirements in bold to help them stand out. A cover letter and resume are the first pieces of your written communication that a potential employer would see. Writing skills are critical for job success. Your cover letter will give a potential employer clues about how you express yourself, organize your thoughts, articulate yourself, present a persuasive argument, your attention to details, and your general written communication skills. Get step-by-step guidance on how to write a cover letter. Topics include components of a cover letter, how to personalize and customize your letter, best practices, how to market yourself effectively, common mistakes, cover letter checklist, following up and length of a cover letter.